A rock band from Osaka that uses the gap between their appearance and musicality as a defining trait. 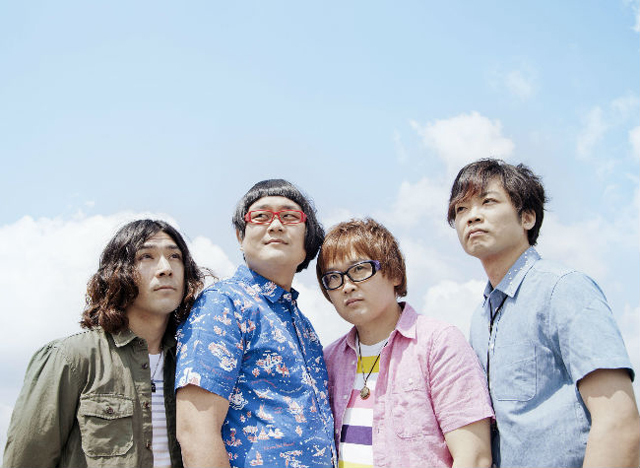 Hanamori (Vo/Gt), Kawasaki (Gt/Vo) met during high school and formed a folk duo. In August 2007, Sugihara (Ba/Cho) and Johnny (Dr/Cho) joined the band. Their band name comes from combining the words “ashigaru” which is the lowest of the ranks amongst “bushis”, and “youth” to denote immaturity. The name was created in the hopes to “use their complexity against their appearances as a spring to climb high”. Contrary to their looks, their music has delicate lyrics and catchy melodies. The variations in their songs and the use of twin vocals with very different textures add to their charm. After the release of their self-produced album “DONUTS”, they made their major debut from Victor Flyingstar Records.